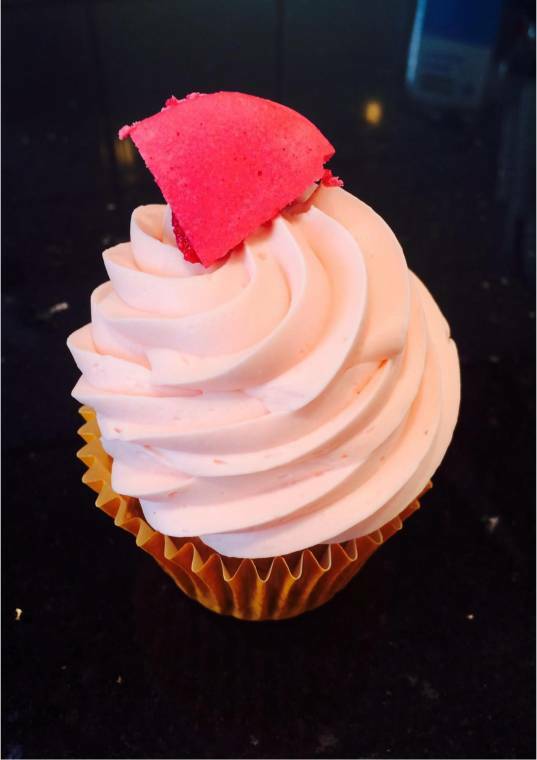 Halva bakery in Fulham, are currently offering a Bubble-gum and Raspberry Jam cupcake and they kindly let me share their recipe. Take your 100gr cream to boiling point and pour it over the white chocolate and stir with a spatula until fully combined. Then add the other 300gr cold whipping cream, stir well and add the syrup. Keep in the fridge for at least 12 hours. In a mixer mix eggs and sugar, when it becomes white and fluffy, gently fold the flour in and add the cool melted butter. Fill the cupcake mould three quarters full and bake at 170c for 15 minutes. Poke a cupcake with a thin knife, they are ready when the knife comes out clean. 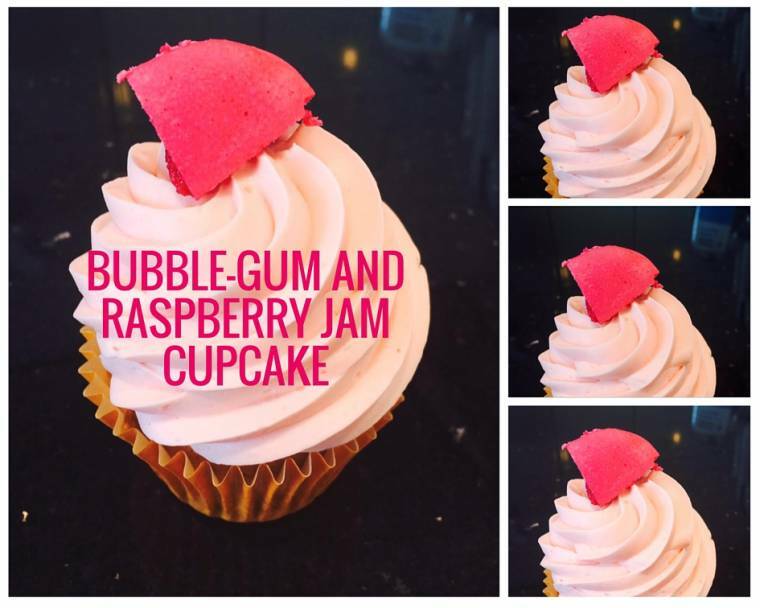 Dig a little hole in your cupcake and put a tea spoon of raspberry jam and pipe your bubble gum ganache over it. About this post: This is a guest recipe from Halva bakery. No Payment was received. Interesting, and probably too sweet for me. I never heard of bubble gum syrup before.